A lively space pirate. She brought her crew to Earth in a whale-shaped stealth ship. Upon her arrival, however, an important part of the ship gets destroyed. 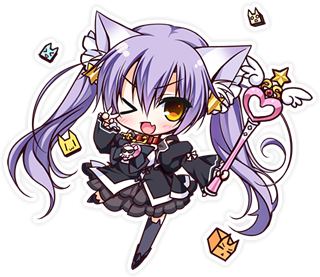 After worrying about what to do, she decides that earning money as a maid would be the best option, since she wouldn’t have to hide her cat ears. 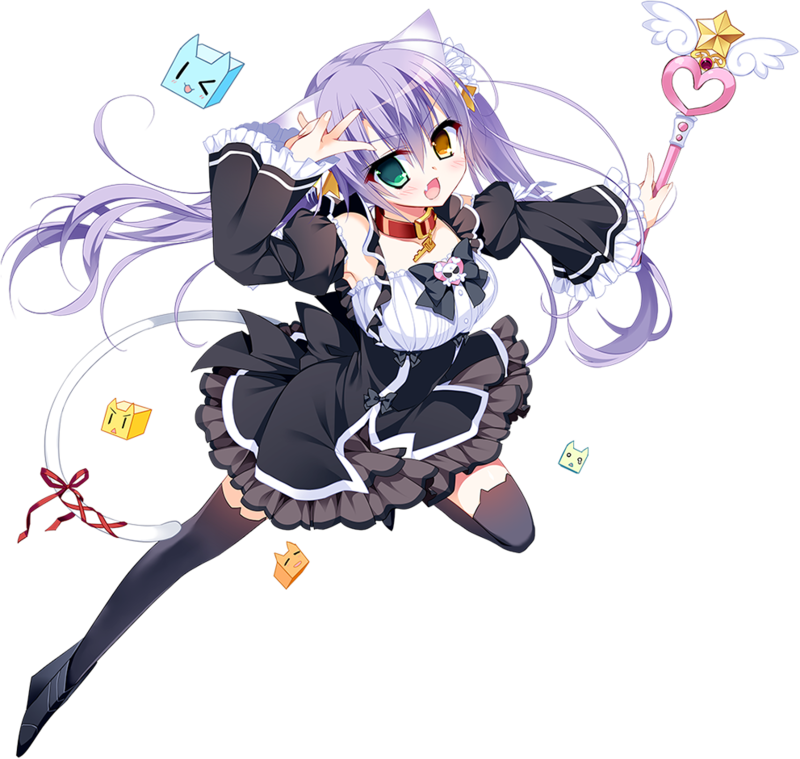 She dons a maid outfit as her space pirate uniform, and she is equally adept in both roles. She loves her big sister, but acts like she doesn’t in front of others. A lively space pirate, who came to Earth with her crew in a whale-shaped stealth ship, chasing after R-ne. Because of certain unforeseen circumstances, though, she now spends her days working at a maid cafe to earn money. Lily's maid outfit is actually a pirate uniform, unique to her clan, and she's just as cocky about her abilities as a maid as she is about her pirating skills. Her role as the cafe's poster girl is a recent source of pride. As an accomplished space pirate and rare metal hunter, she now hopes to get her hands on R-ne, a super-rare, SS-class metal. Having finally found her prey, she sets her carefully devised plan in motion. Will Lady Lily, the great space pirate, actually be able to obtain R-ne? Will she finally achieve the pirates' long-cherished desire: escape from "liquid ration hell"?